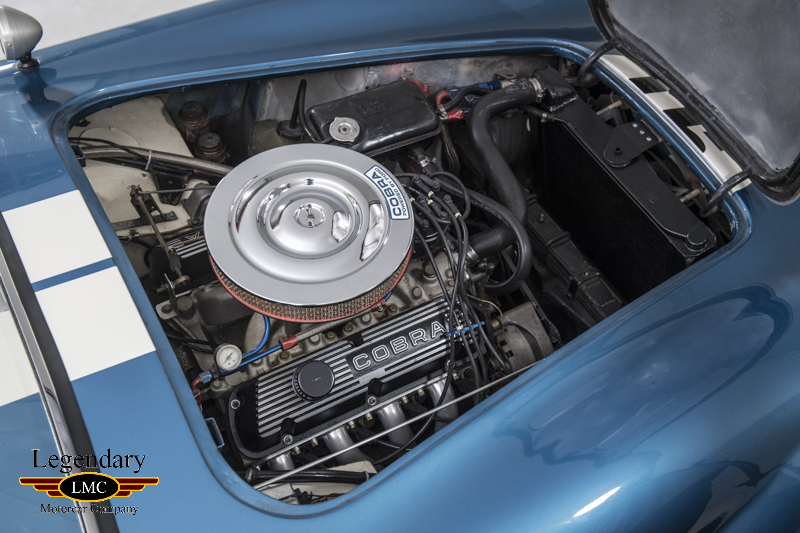 Debuting at the 1962 New York automobile show with a bare aluminum finish completed by hand with steel wool, the first Shelby Cobra captured the full attention of both the public and the motoring press. 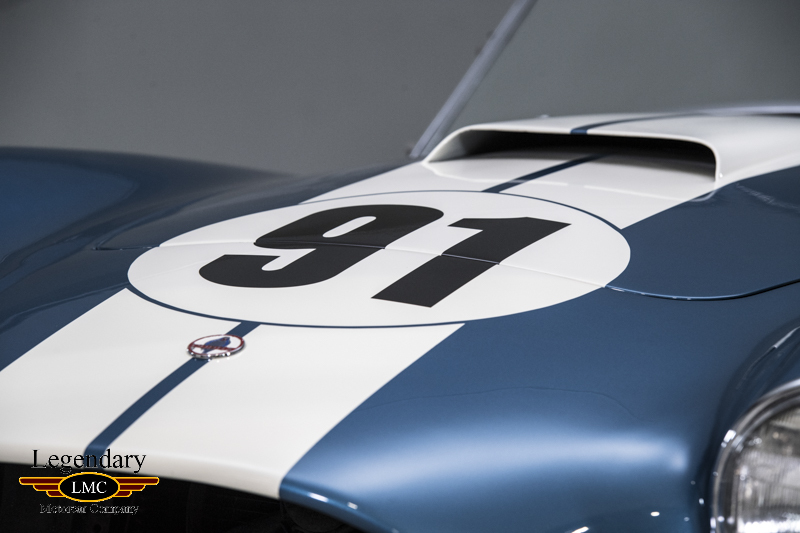 Carroll Shelby himself was already a LeMans winning race car driver, and the 289 Cobra forged his reputation as a world-class manufacturer of sports cars as well. 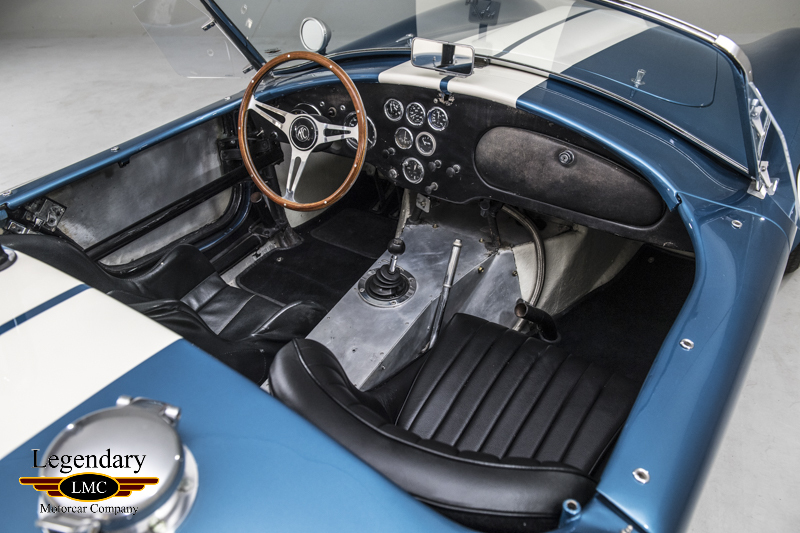 Although the first batch of Shelby Cobra road cars were powered by Ford's 260 cu in. V8, once the 289 cu in. 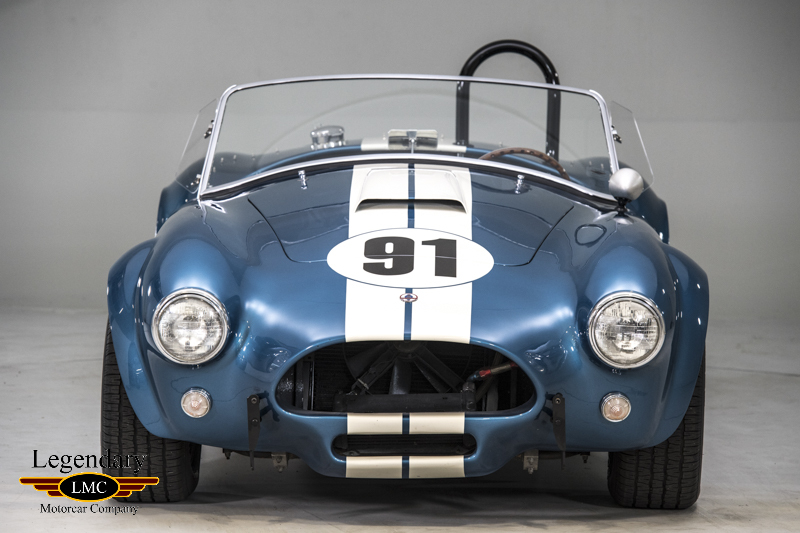 was introduced to production, after chassis CSX2075, upgrades were constantly being implemented at AC cars and Shelby American. 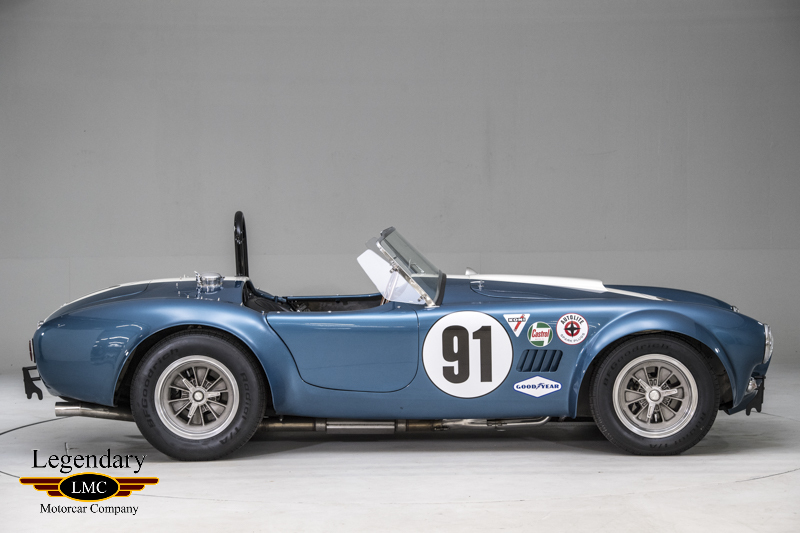 Rack and pinion steering, improved rear axle ratios, superior Stewart Warner gauges, Ford electrics and revised body emblems all made the 289 Cobra a better built sports car. 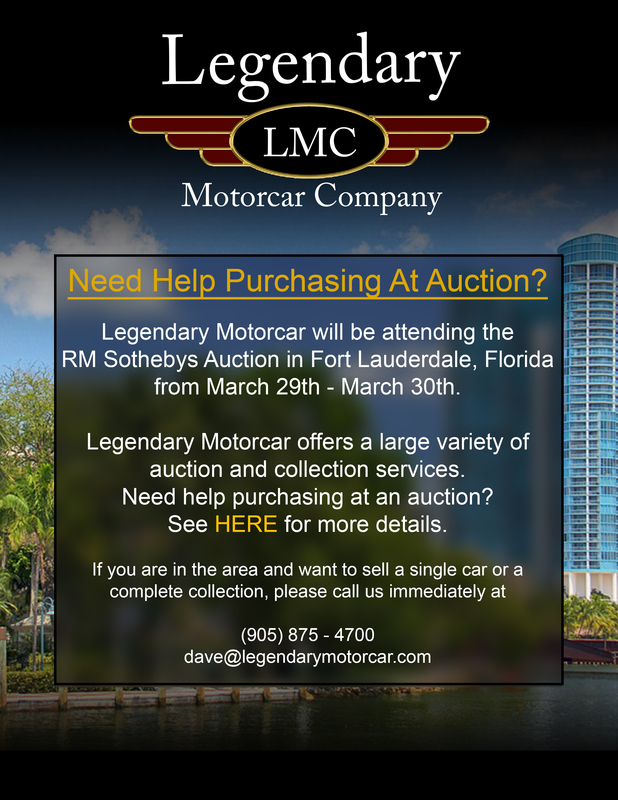 The collector market places a high value on these 289s as they are very rare and an incredible driving experience. 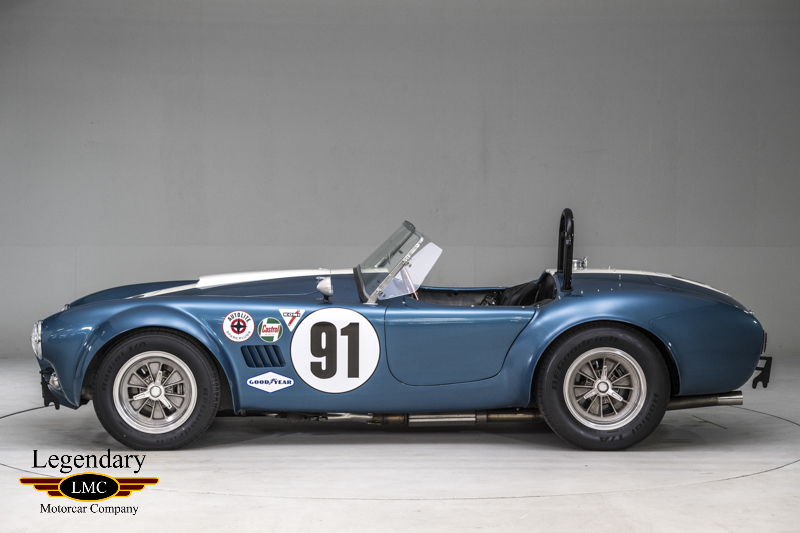 This 1964 Shelby Cobra 289 was billed to Shelby American on 9/3/63 and shipped to the Shelby headquarters on 9/12 aboard the "SS Dongedyk." 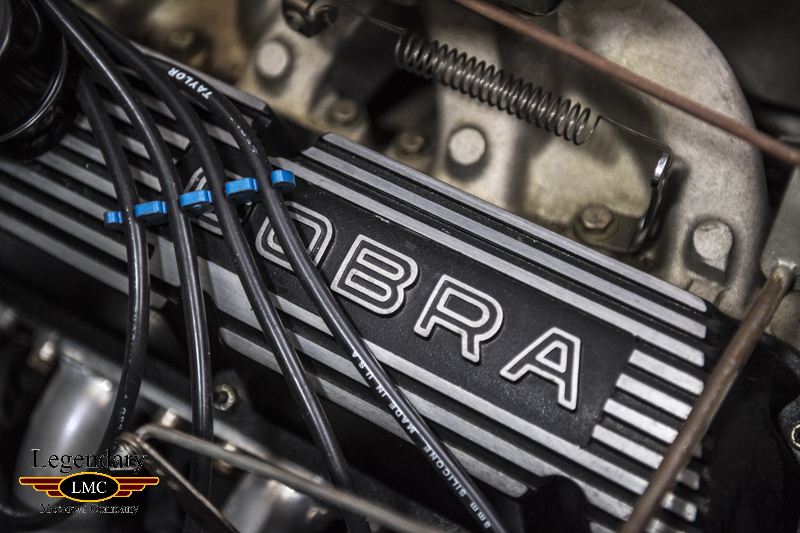 This Cobra was originally invoiced on 11/7/63 to FoMoCo General Office Accounting to be used as a public relations vehicle. 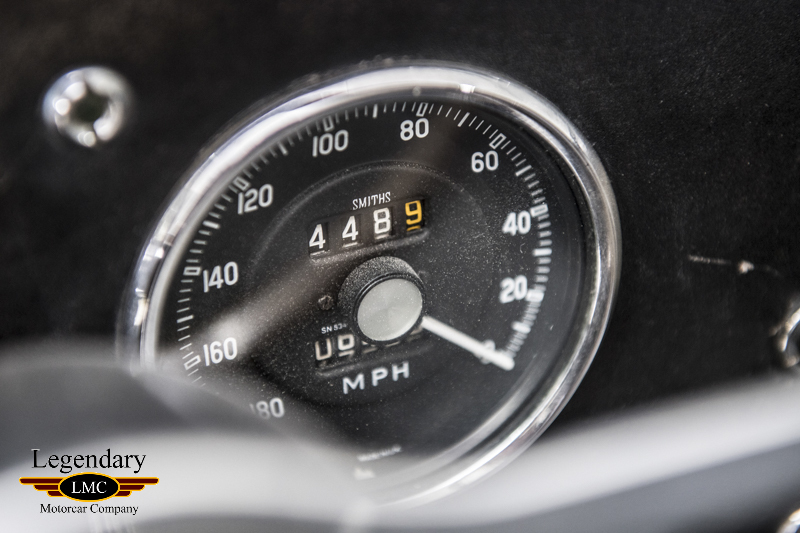 It was factory ordered in British Racing Green with Class "A" accessories, including chrome rocker covers, WSW tires, and a luggage rack, for a total of $5,195.00. 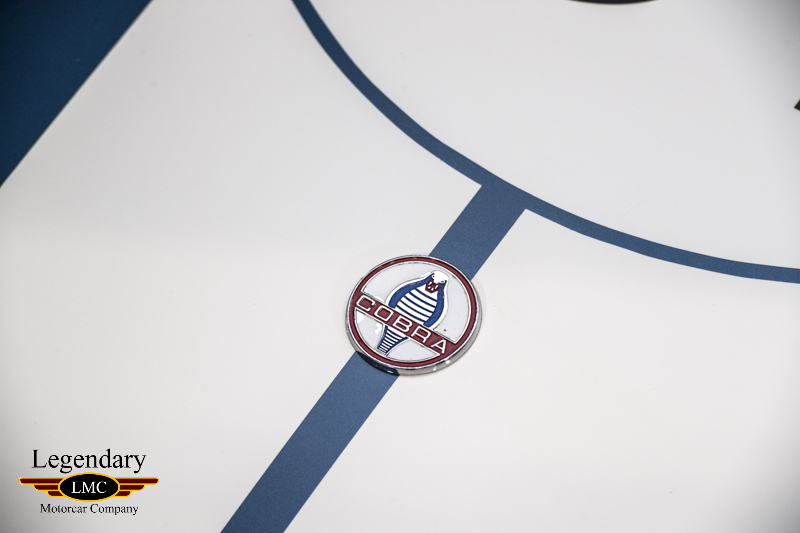 The car was then delivered via Shelby transporter to the Ford District Office in Cincinnati, Ohio for sales promotion use. 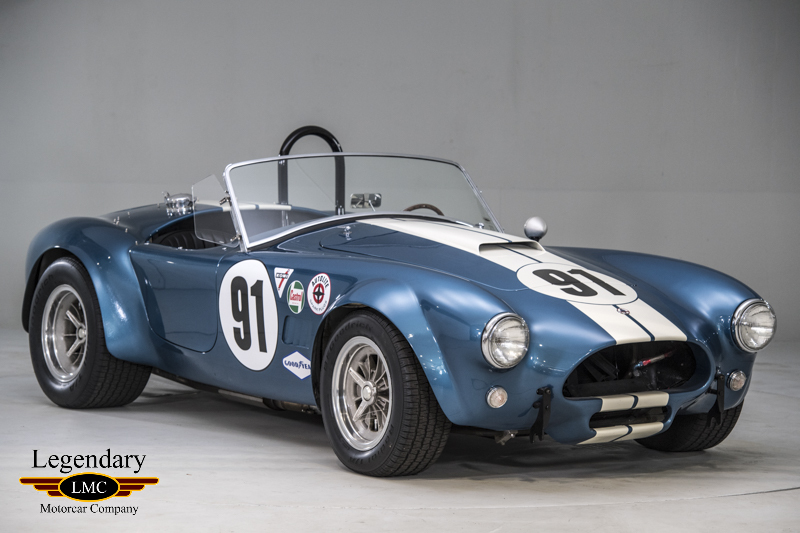 It was returned to Shelby American roughly one year later with some 7,700 miles on it. 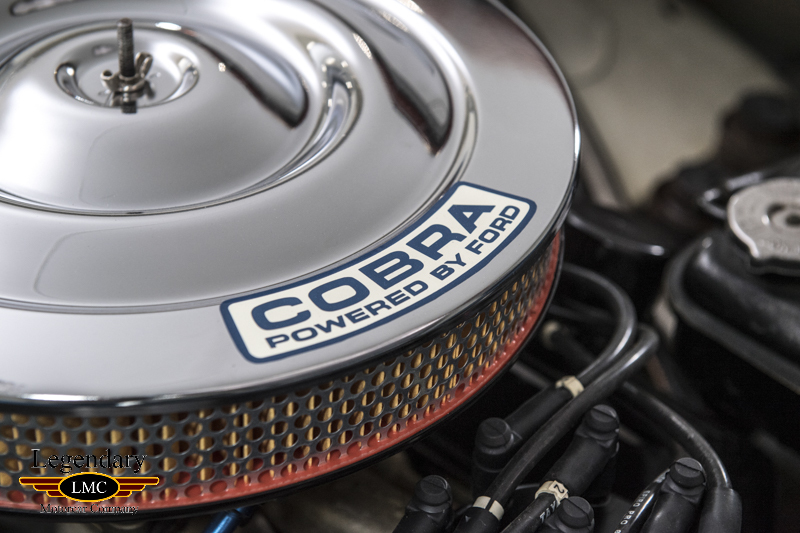 A Ford Motor Company employee created a "Special Vehicle Performance Work Order" on 11/17/64, which estimated repairs totaling $1,286 to recondition the Cobra for resale. 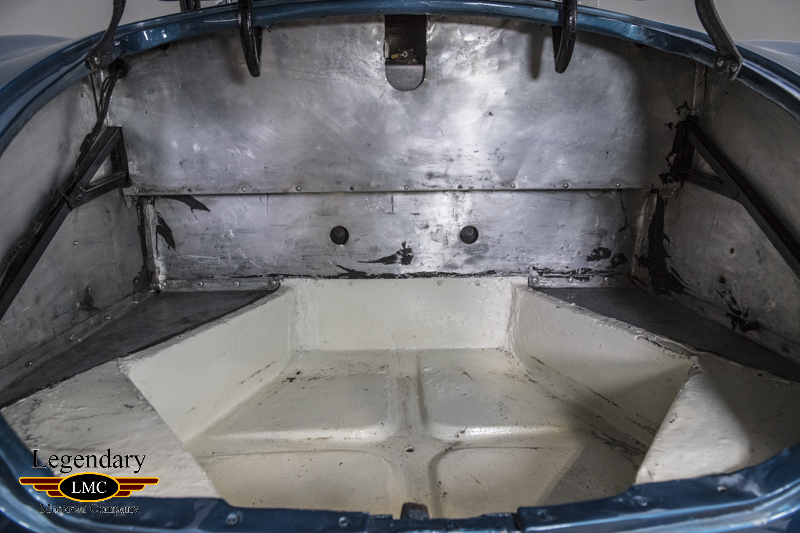 This included new carpets, soft top, side curtains, jack and handles, tool kit, Smiths clock, complete exhaust system, wind wings, sun visors, carburetor, 5 wire wheels and "G8" tires, luggage rack, dot fasteners, tach and sender, plus metal work on the hood, grille surround, all four fenders, both doors and rocker panels, upper trunk panel, deck lid, and a complete repaint. 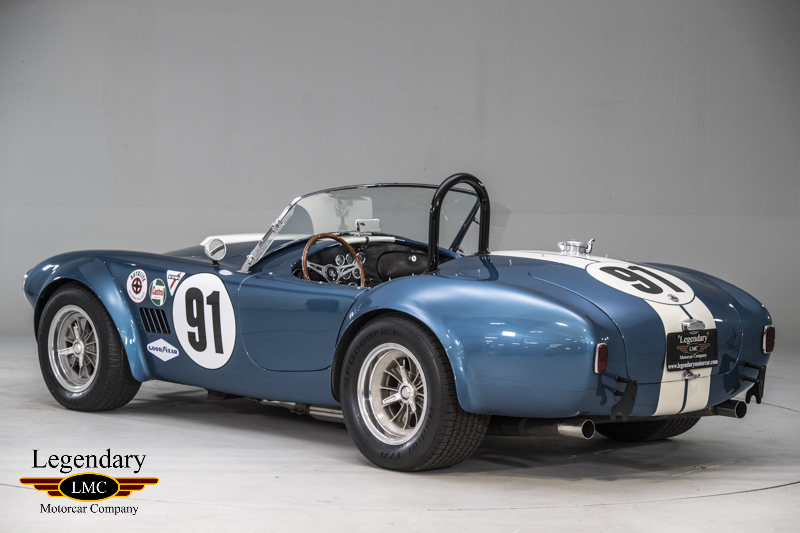 Rather than recondition the car, Shelby American sold it to Taylor American in "as-is" condition for $3,125.00 on 6/3/65. The car was then sold to a couple local racers in the Bakersfield, CA area who took turns racing the car locally. 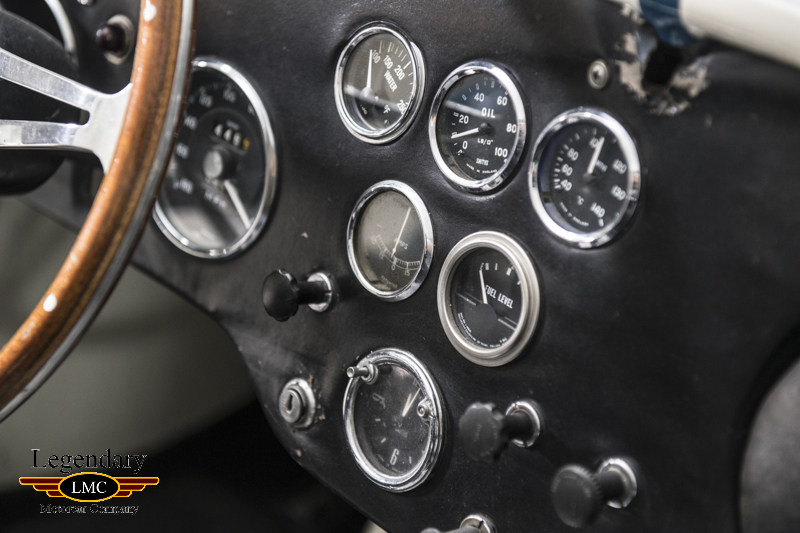 Early owners reported in 1974 the car was silver with a black interior and retained its original 289 and had alloy wheels. 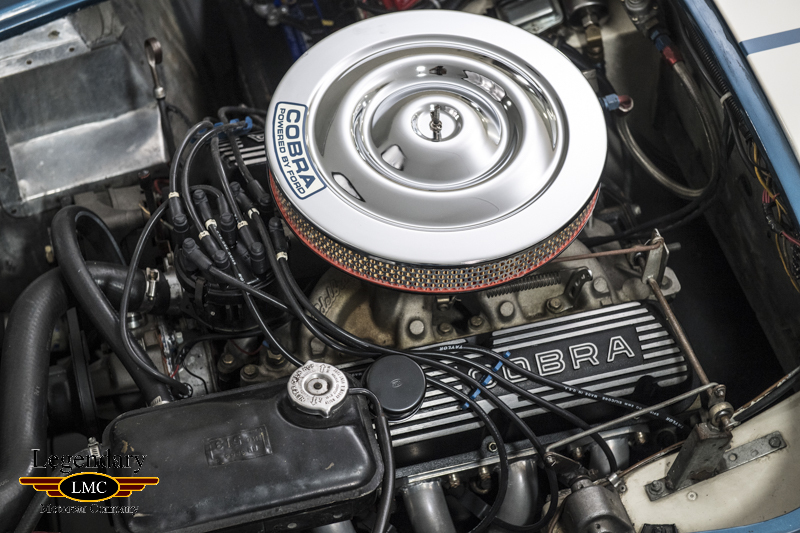 In '85 it was sold to long term owner Ronald O'Connor (Wauwatosa, WI) and by this time it had been painted white with a black interior and it was still equipped with performance upgrades including aftermarket wheels with Blue Streak tires, Webers, a roll bar, brake scoops, a hood scoop, an oil cooler scoop, Koni shocks, and side exhaust. 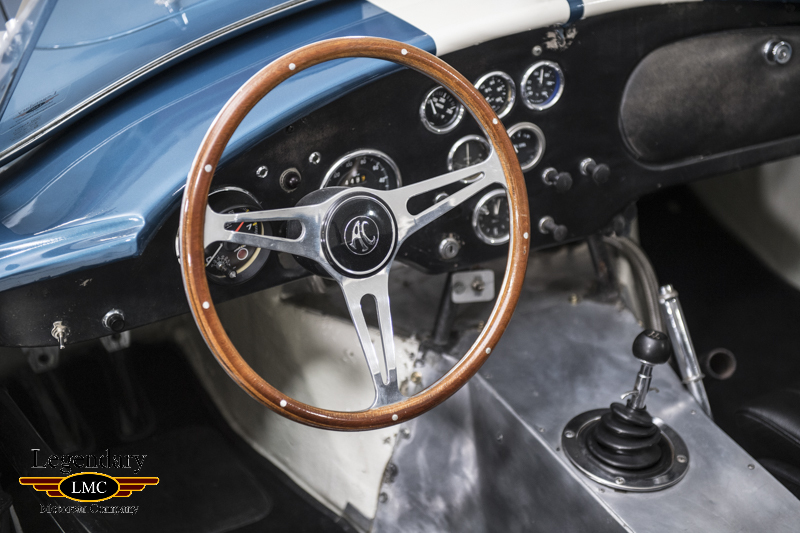 O'Connor restored the interior and gauges and added wide FIA flares at the front and rear, with cutback doors, to accommodate 7.5" reproduction Halibrands with race tires. 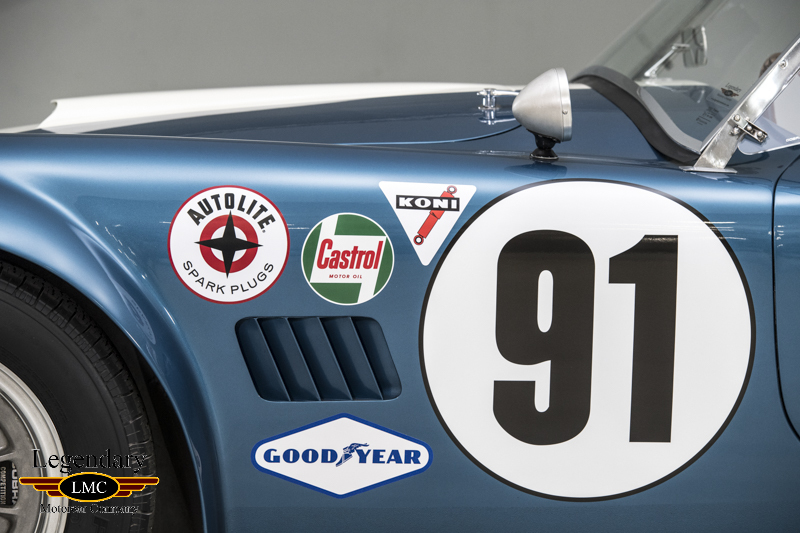 He vintage raced the car over the next 18 years where it was seen at the Road America vintage races in the summer of '89, with the new flares in raw aluminum. 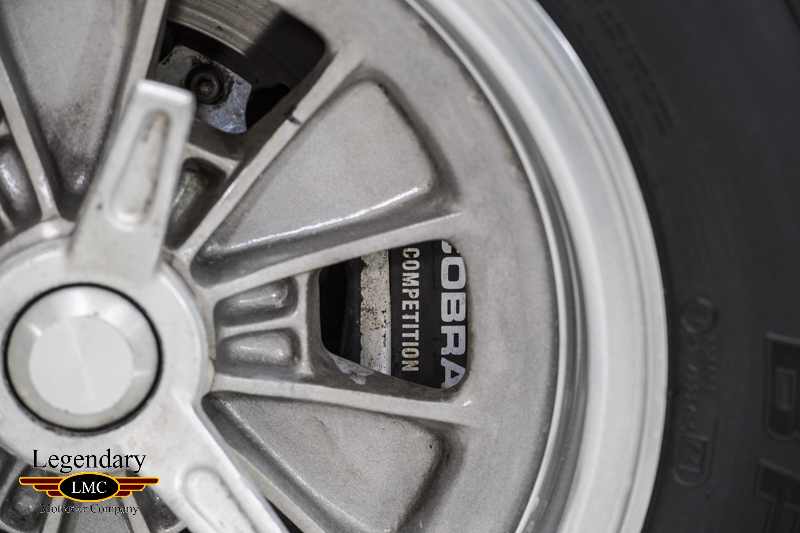 The Cobra was then retired from the vintage-race circuit after the '03 season. 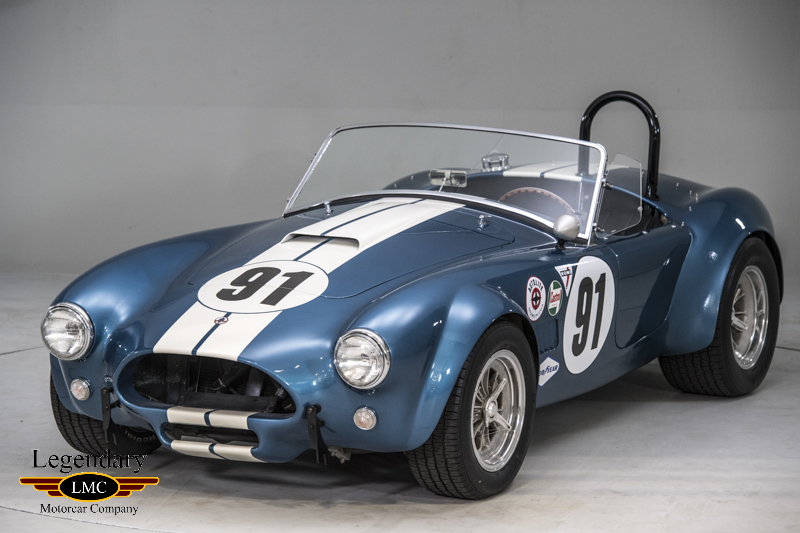 In 2004, O’Conner had this Cobra reconditioned as you see it today, where it was painted Guardsman Blue with White LeMans stripes and a variety of modifications were performed. 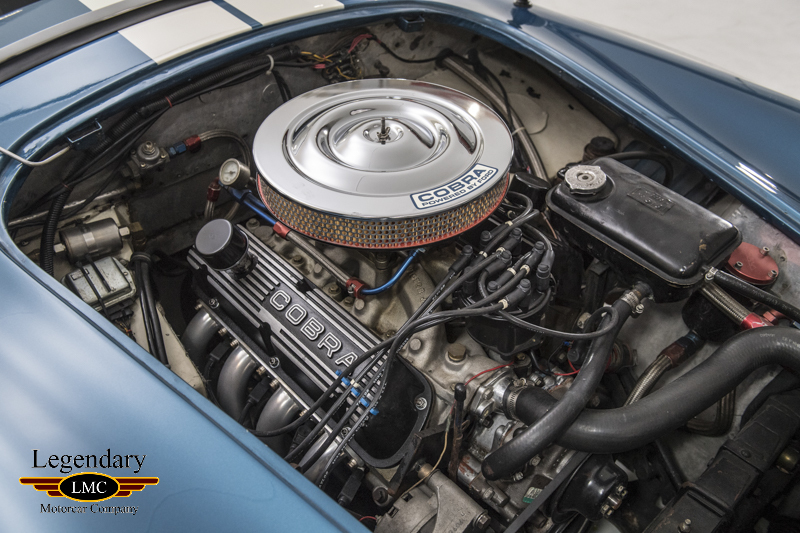 It featured a 347 CID engine using an aftermarket engine block, ported aluminum World heads, Wilwood brakes, adjustable A-arms, a removable roll-cage, front and rear sway bars, a stainless steel fuel tank, stainless steel headers mated to a 3" exhaust system with tailpipes, FIA repro wheels, and Spax adjustable shocks. 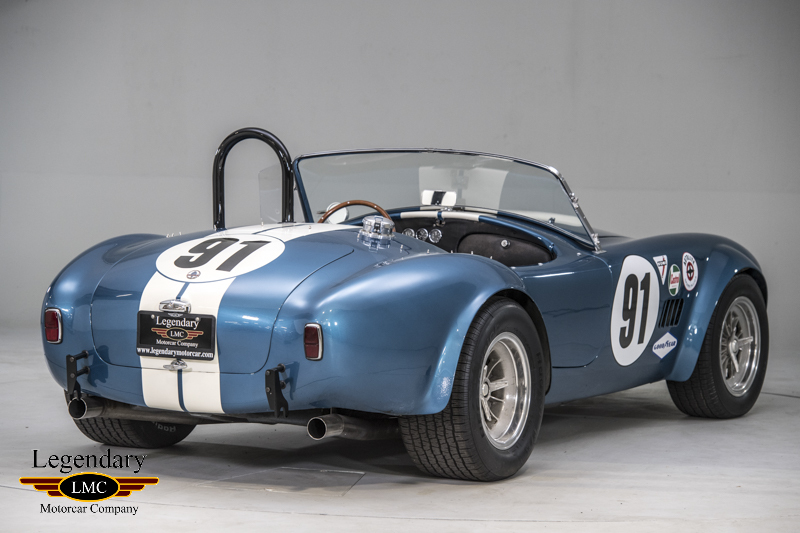 This is a very rare and unique opportunity to be able to purchase an independent comp 289 Shelby Cobra. 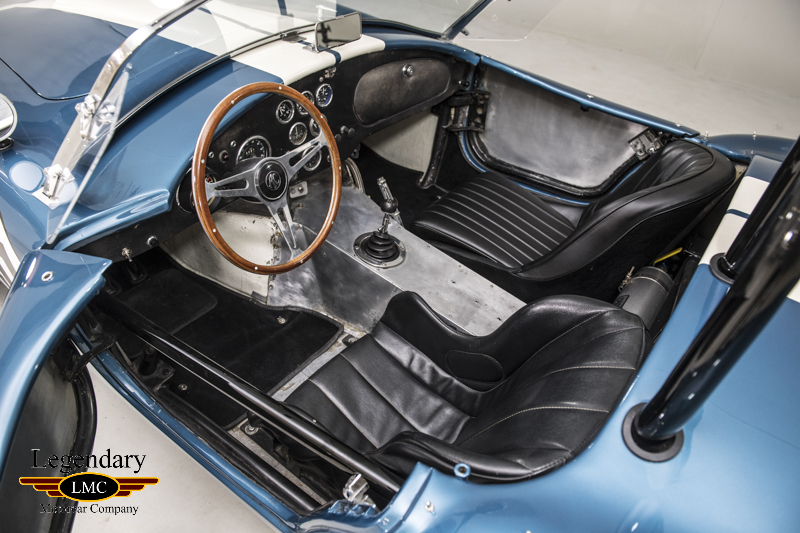 It is complete with full ownership history listed in the GT40 and Cobra Registry. 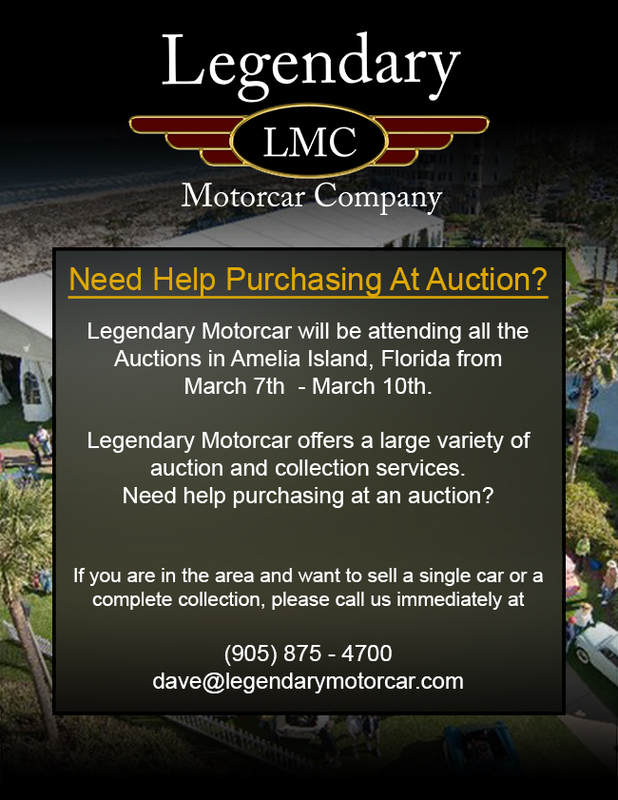 Do not miss this unique chance to own one of the world's most recognized global sports cars accepted at most vintage races around the world with one of very few period raced independent comp cars. 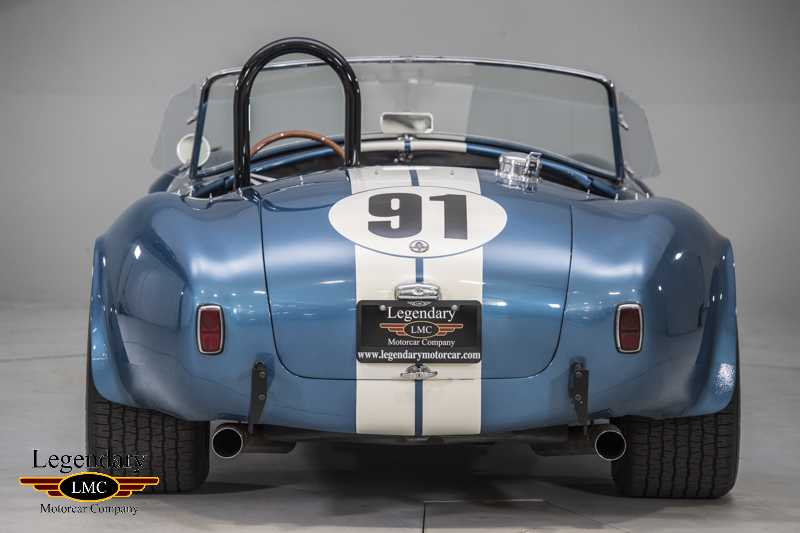 Legendary-Motorcar-Company-Ltd-2018-066 Shelby 1964 Shelby 289 Cobra 2018-066 825000.0000 Legendary Motorcar Company Ltd.